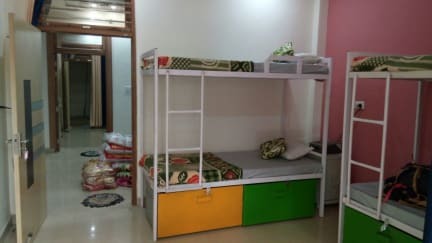 Very good location only 15 minutes by walk from the Taj Mahal, owner very friendly and helpful with everything, I never met someone like that, it was a pleasure be there. We loved staying at Spiritual Yoga Guesthouse while in Agra. It has everything you need for a comfortable stay and is so close to the Taj. The roof top is a great place to enjoy the sun. Ashmit went above and beyond to make sure we were comfortable and made the guesthouse feel like home. 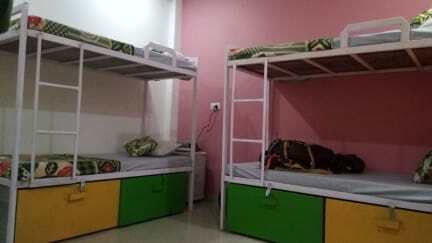 We’d recommend this hostel to anyone travelling to Agra. Ashmit was awesome and really made our stay enjoyable! The private room we booked was spacious and clean, wifi was great, and the shower was hot. It's also within walking distance of the Taj Mahal. What really made this place special is that Ashmit treats you like family. He even walked to the streets with us at 2 am to make sure we could find a tuk tuk! Above and beyond hospitality. Ashim recepcioned us externally well! He recommended nice places for us to visit other than the Taj Mahal and we had the best! Also, he recomended awesome true Indian restaurants with good prices for the most amazing food we had! The hostel is small, but super cozy! You can meet other people and it has a lovely balcony. The rooms are clean and we felt safe. The place is 5 min walking from the gate to Taj Mahal!! I couldn’t recommend more! Best value for money. Asim was such a helpful man! We arrived at 2.30am and he waited up for us and made us feel at home. Booked train tickets for us and just an all round great guy/hostel. You’re paying for location, not amenities— it is SUPER close to the Taj and that’s why the price is steep. About a 20+ minute walk and a less than 10 minute ride. Ashmit is fantastic and will literally help you with anything. He helped me book a train, gave me an adapter for the sockets, and even gave me some tips for Jaipur. He’s fantastic! I stayed for one night and it was all I needed. Very helpfully owner, booked trains for us and gave good recommendations for Agra and also Jaipur. Basic room but brilliant location! Overall it’s a good hostel. There really wasn’t anyone there when I stayed.